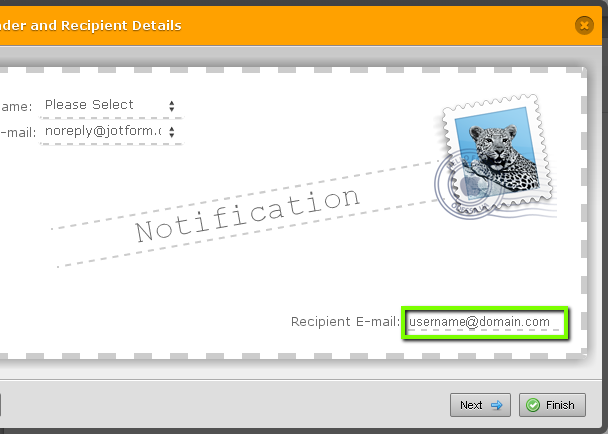 You can check email notifications for the form you are supposed to receive emails by clicking on the edit button of that from in Jot Form under Myforms. Next, you have to click on the "Set up & Embed" tab on the top of the form. Then click on the "Email Alerts", then choose the option "Notification Email" from the pop up window, after clicking on the next button, you will be able to see the email of the recepient who is supposed to receive the submissions if email is put there. 3. Click on "Setup & Embed" tab on the form builder toolbar. form email works in JotForm.